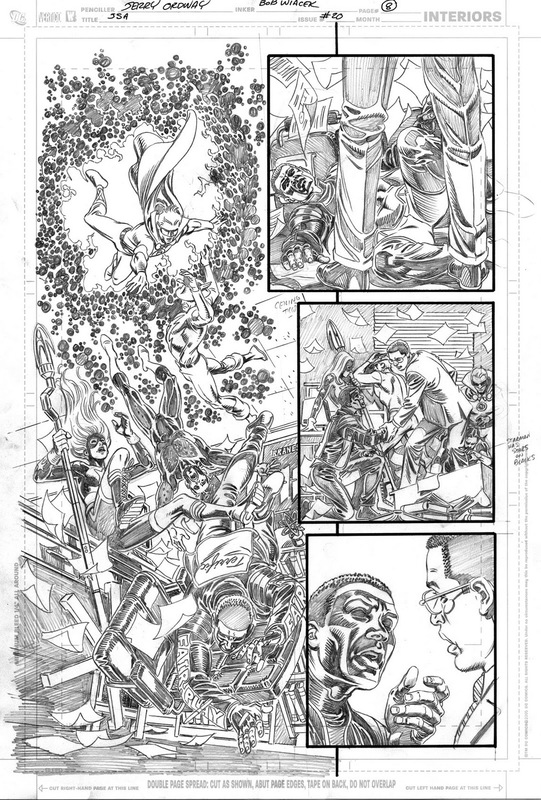 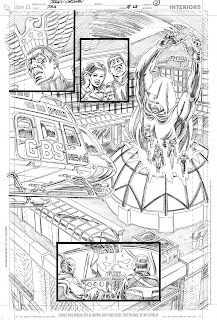 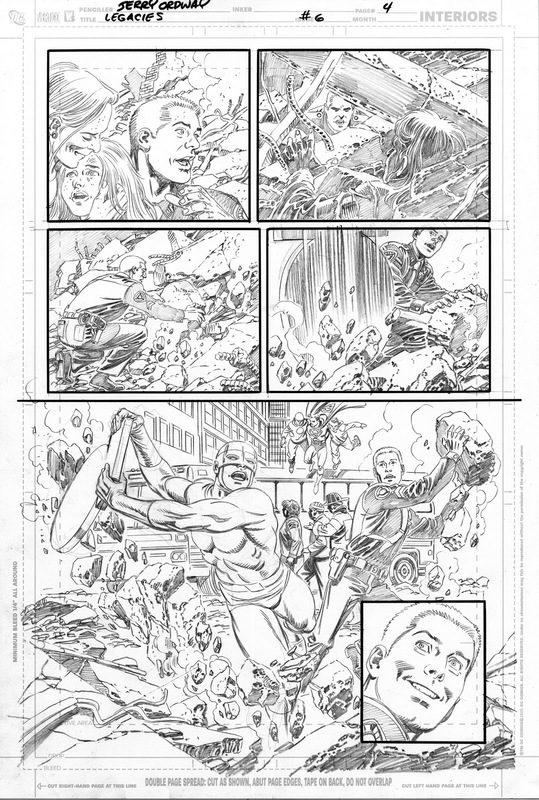 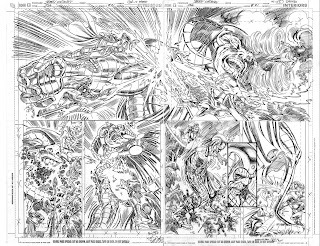 Here's another example of prelim to finished page, this one done from a full script by Geoff Johns. 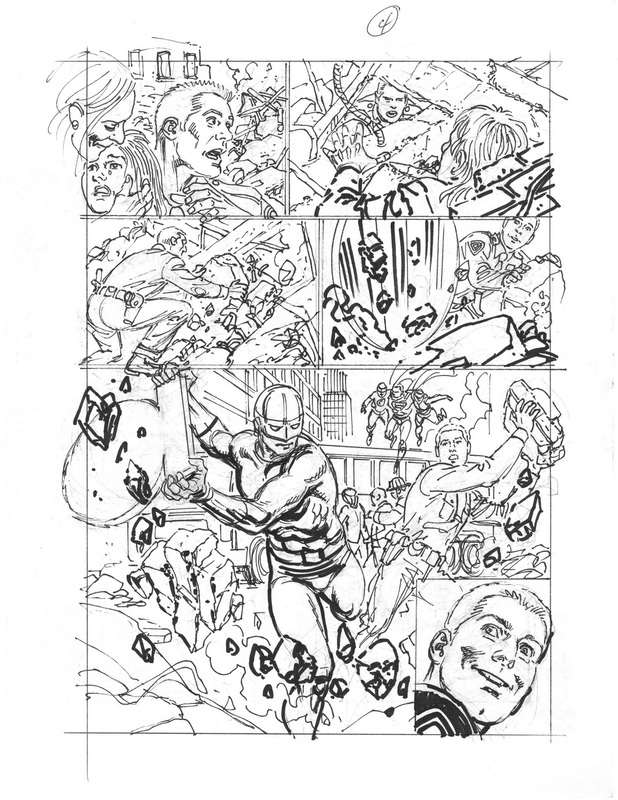 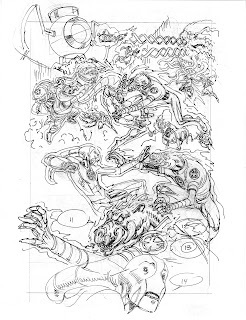 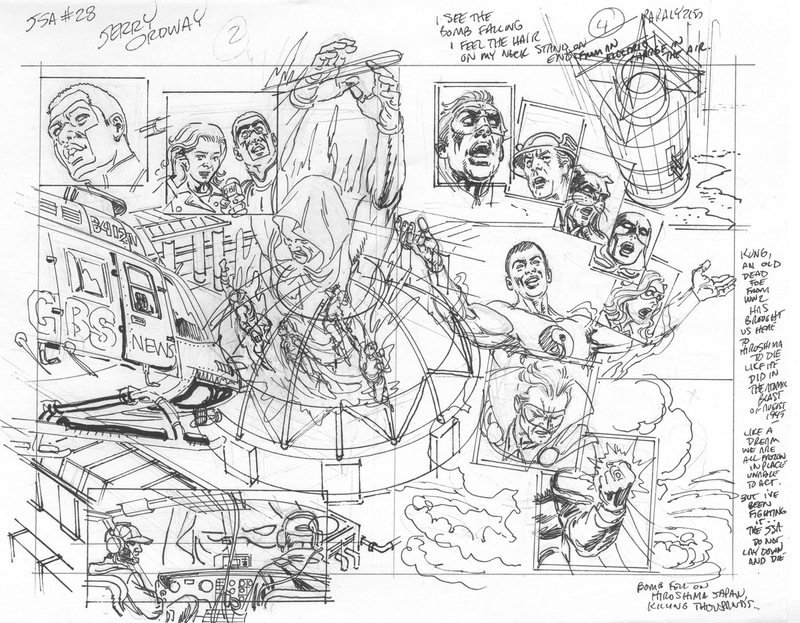 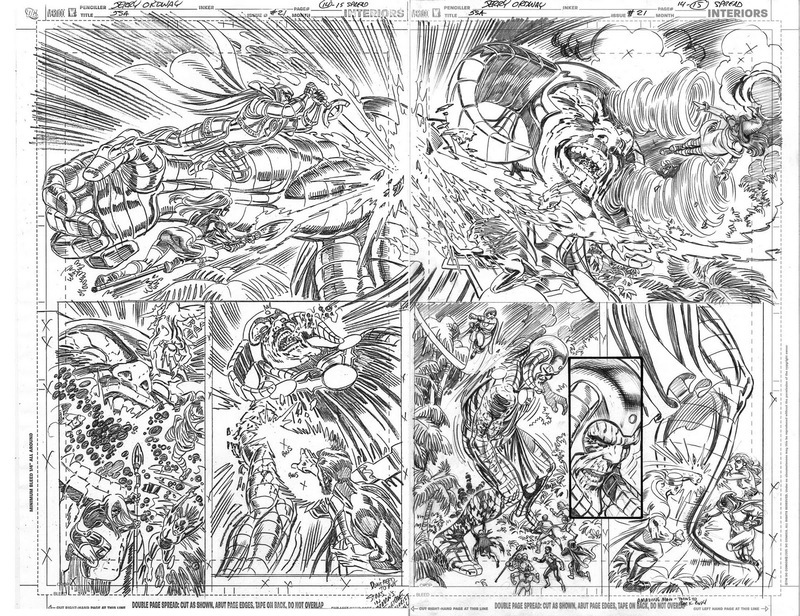 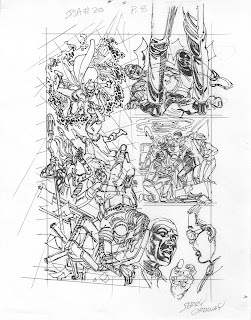 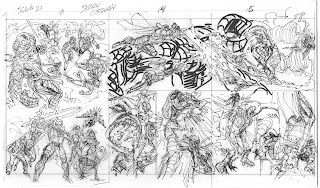 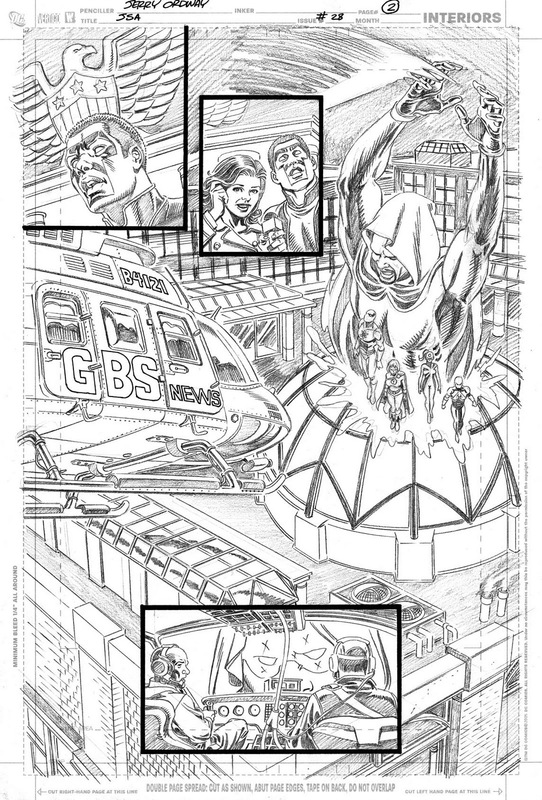 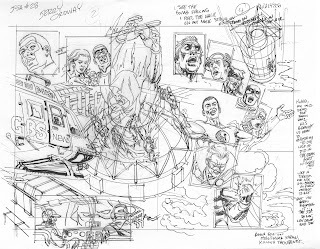 Here's a 3 page sequence, showing prelim to pencils for the Gog storyline in JSA#21! 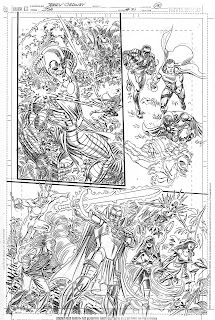 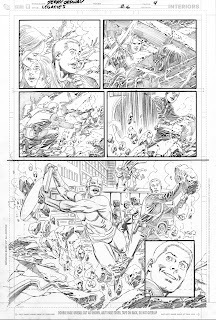 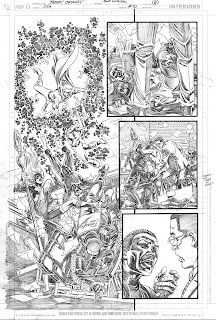 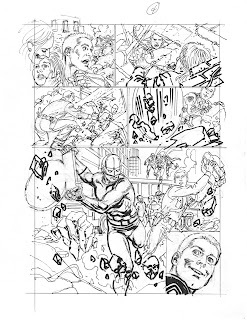 JSA#28 pages 2&4 prelims on EBAY click here! 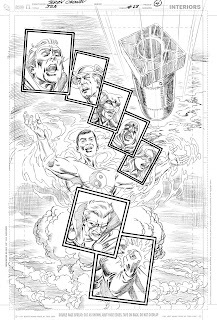 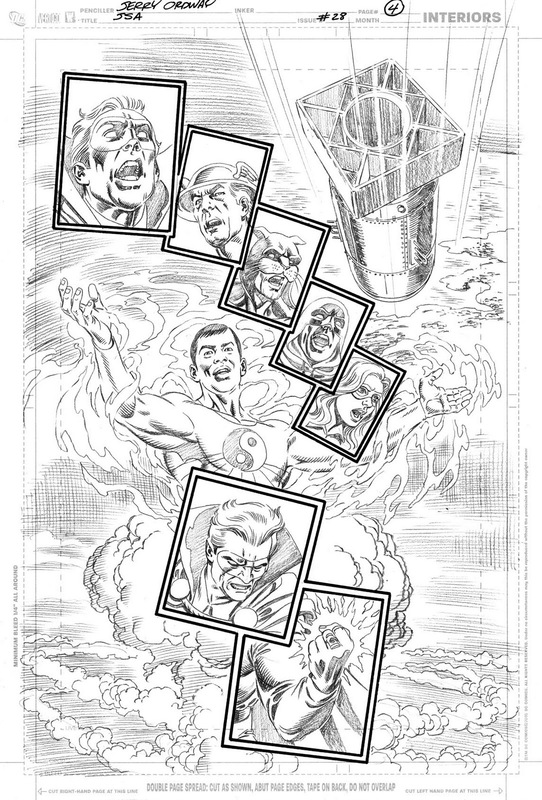 Here's another prelim to finished pencil example from JSA. 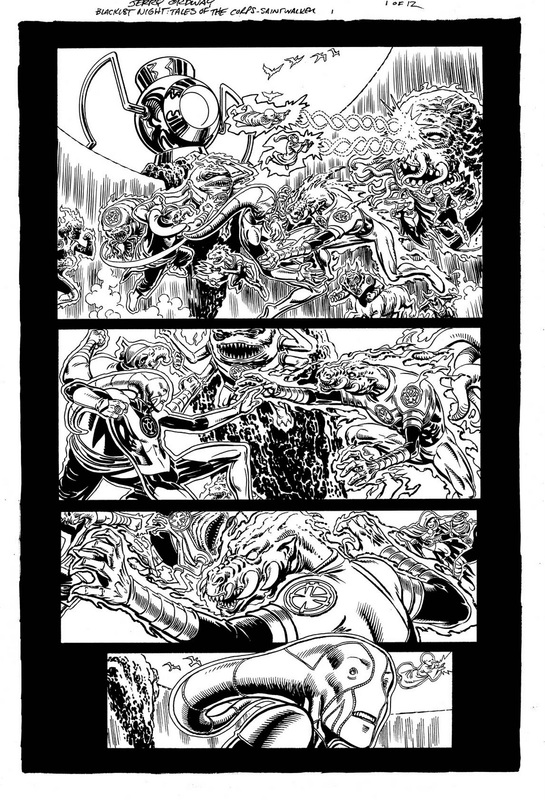 I like the ability to resize things when I do a prelim seperately. 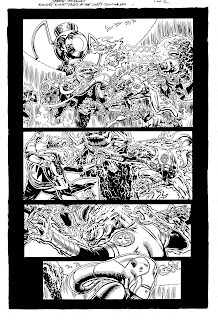 I tend to fill whatever space I give myself with drawing, leaving little room for word balloons:) Enjoy! 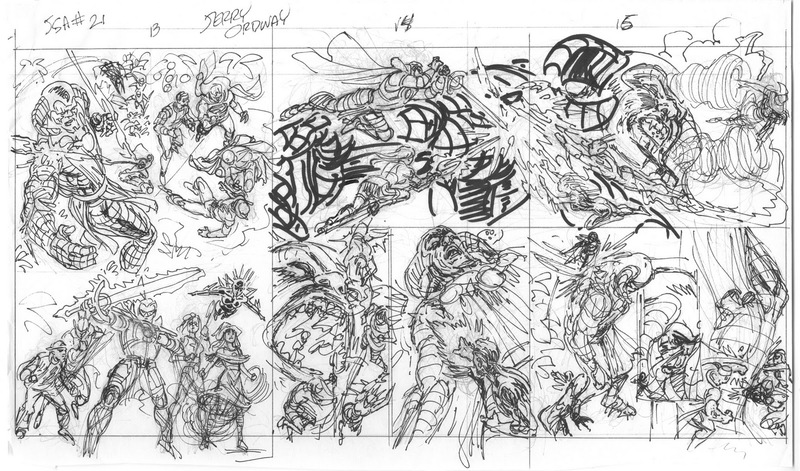 Here's a nice example of how the prelim can change in small ways by the time the pencils are finished. 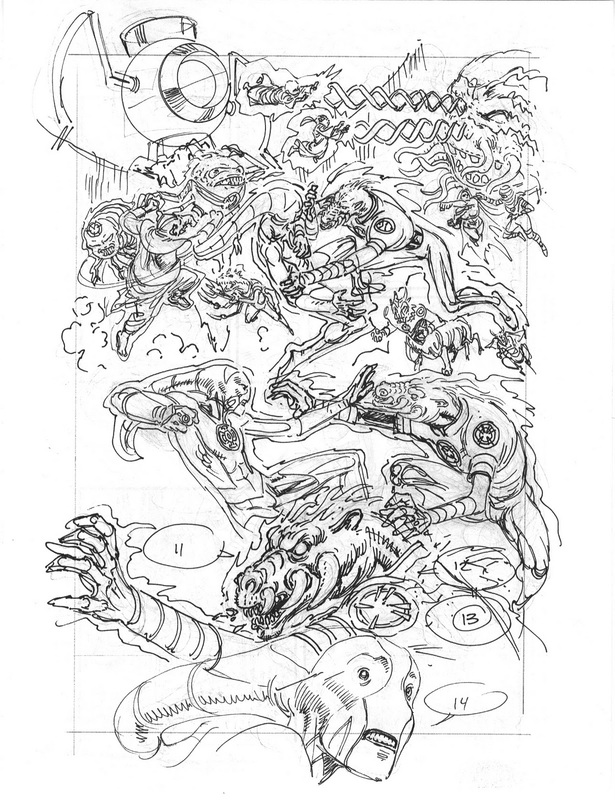 I made the Guardian figure a bit more dynamic by extending his arms more. 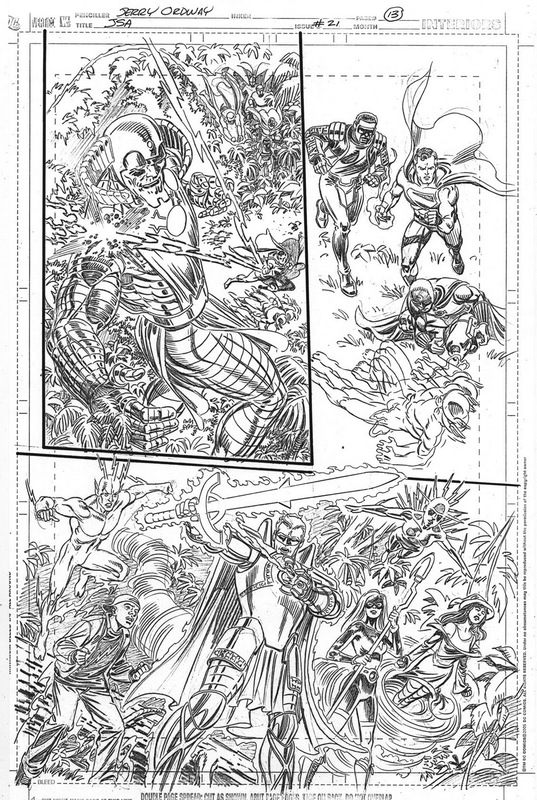 DC Legacies and all characters within are trademark and copyright 2012 by DC Comics.